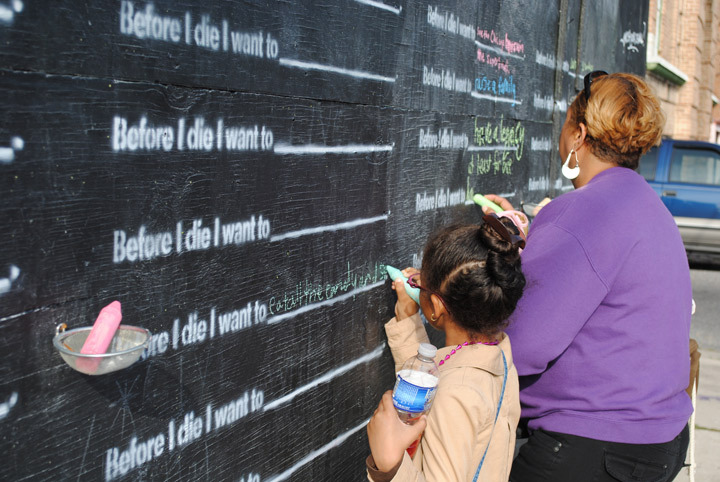 In an act of creative brilliance, Candy Chang turned the side of an abandoned house in her New Orleans neighborhood into a giant chalkboard where residents can write on the wall and share their hopes, dreams and aspirations. Before I Die was an instant success. Within days, hundreds of people wrote on the wall and more than a thousand have left messages online. "It’s a question that has changed me," says Chang, an artist and urban planner, "and I believe the design of our public spaces can better reflect what’s important to us as residents and as human beings." Your turn. 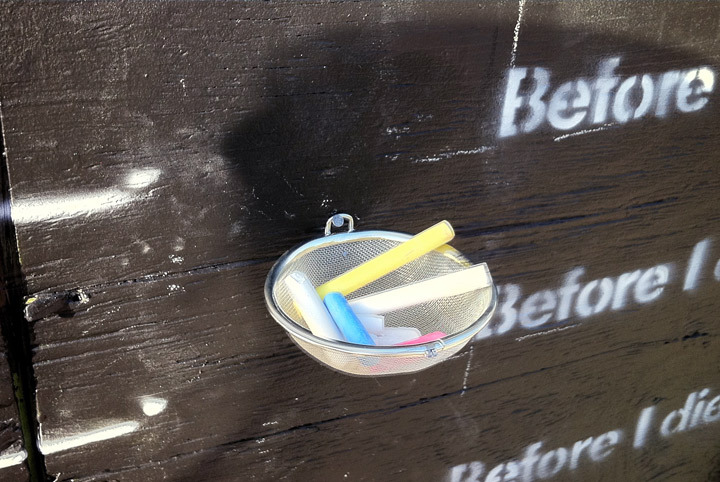 Take some chalk and write your thoughts.